The Mazda RX-7 has been a popular platform amongst import tuners for years. Its sporty styling and turbocharged engine make it an ideal platform for modifying. The RX-7 is fun to drive in stock form but the factory exhaust system can leave much to be desired in terms of sound and performance. The factory exhaust manifold was not designed with optimal performance in mind. Megan Racing???? ?_s exhaust headers offer a solution to these problems. Megan Racing???? ?_s headers increase both horsepower and torque by replacing the stock unit with a smoother less restrictive header. 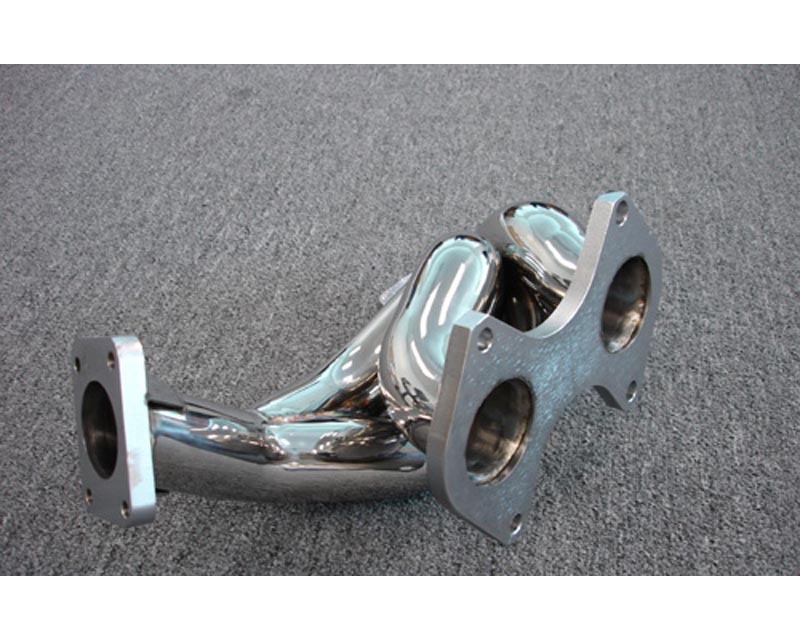 Constructed of T-304, with thick welds and supports for durability, this manifold features equal length runners to keep the velocity of your exhaust gasses up to spool your turbo faster so you can achieve boost at a much lower RPM. CNC mandrel bent piping, laser cut flanges and a show-car polished finish all add up to a beautiful product which also out performs other manifolds on the market. The increased exhaust flow will give your RX-7 a more aggressive tone that will set you apart from the pack. NOTE: fits T04R T78 T88 TD-07 TD-08. The external wastegate will have to be a 50mm HKS-style 4 bolt flange.